Evangelism in the "Banana Capital of the World"
"Before they call, I will answer; while they are yet speaking I will hear" (Isaiah 65:24). 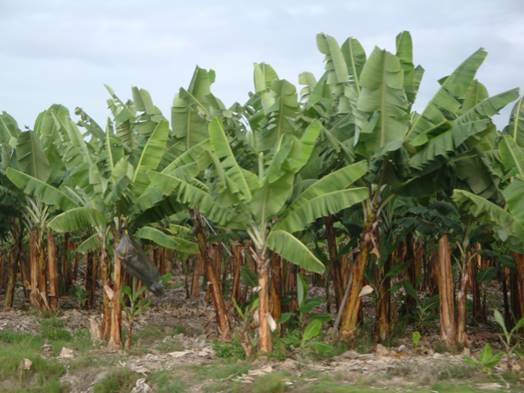 Machala, Ecuador is one of the largest banana exporters in the world and calls itself the "Banana Capital of the World." 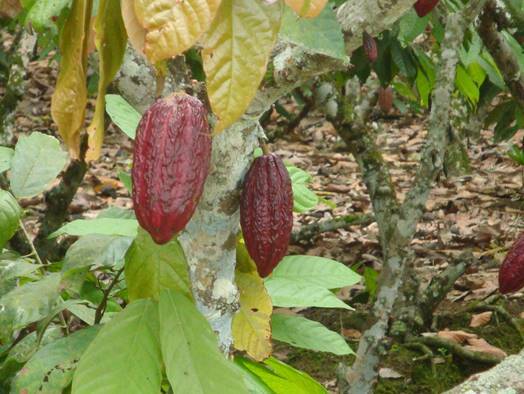 Other high exports are coffee, shrimp, and cocoa shipped out from nearby Puerto Bolivar. The coastal highway toward this Pacific port city plows through hundreds of miles of vast swaths of banana plantations in every direction. An hour further south lies the Peruvian border. There are two universities, numerous private schools, and a strong evangelical work in the city. 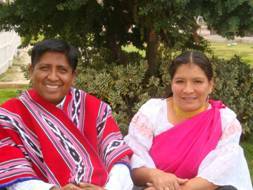 There are three Quichua bilingual (Spanish and Quechua) churches in Machala. There was excitement in the Quichua church when I arrived. They had been requesting our evangelism conference for over a year. I began the four day evangelism conference on Sunday night and spoke to a packed congregation about "Bad News – Good News." I took them down the Roman Road to share how easy it is to present the plan of salvation to a friend. 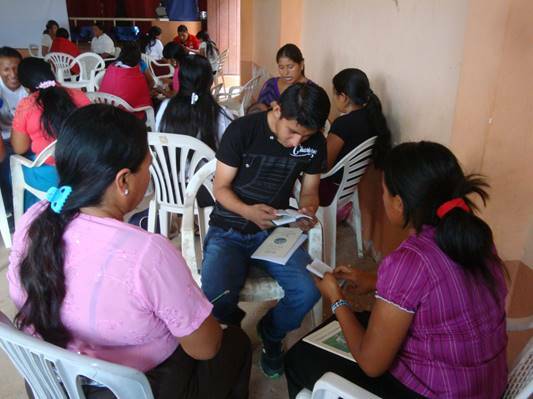 Each participant received a free copy of my workbook on personal evangelism, and a free pocket New Testament in Spanish. I taught them an easy way to mark their New Testament with the plan of salvation, and then gave a demonstration on how to use their testaments in sharing Christ with unsaved friends. 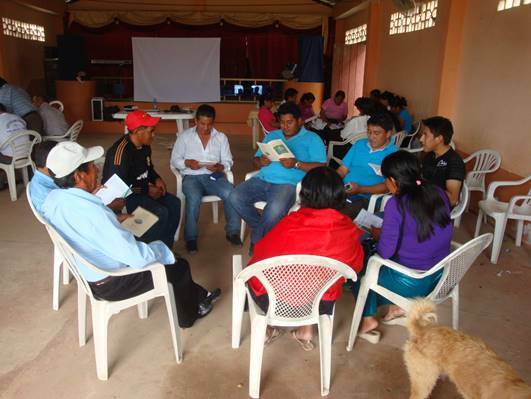 The class was divided into groups of three and each person practiced witnessing in a safe learning environment. We then went out witnessing for an hour. 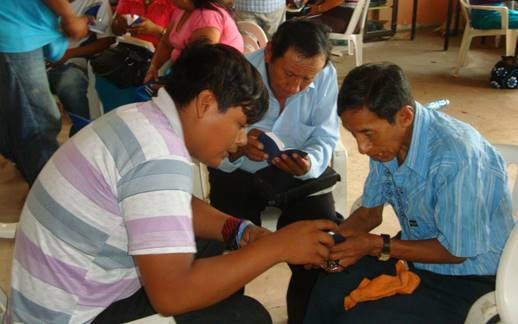 Participants practice sharing the plan of salvation with one another. We also use small groups to teach eternal security and discipleship. 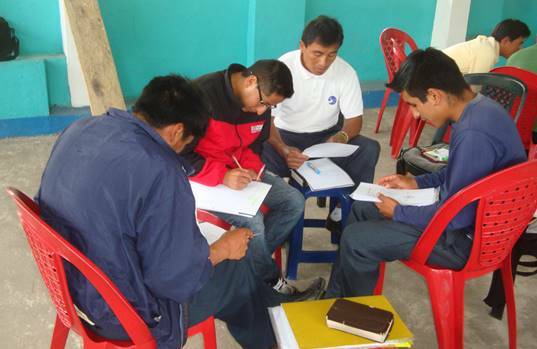 Quichua youth studying at Abide in Christ personal evangelism workship in Machala, Ecuador. 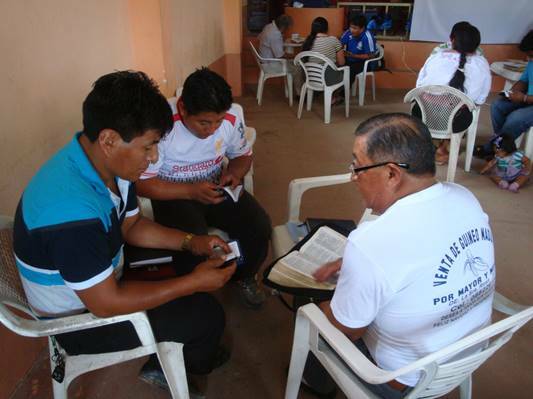 These workshops on evangelism and Bible doctrine are also used to create interest in beginning Peniel Theological Seminary extensions in new locations throughout Ecuador. 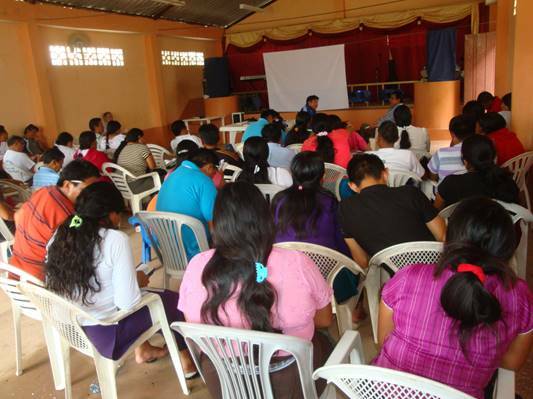 I also taught a 40 hour classroom course for Peniel Seminary on the Cults in Pallatanga, Ecuador. 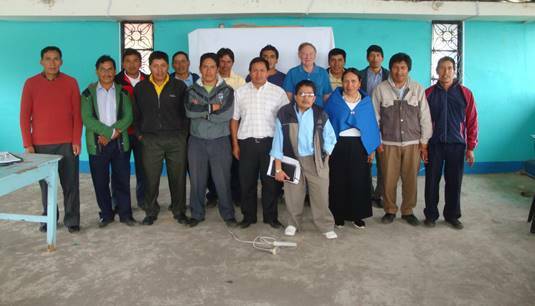 This is in response to the eight presentations I gave at the Quichua National Pastor's Conference in Otovalo. 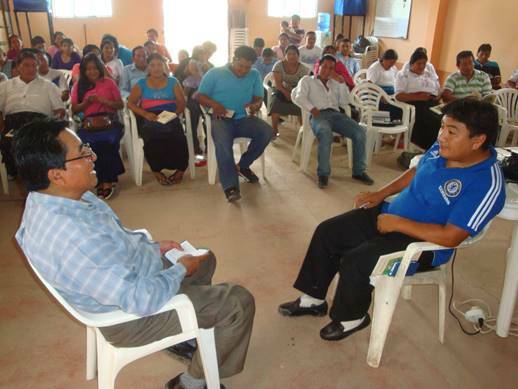 In February 2014, Peniel will begin an extension with 30 students in Guayaquil, the largest city in the county. Partnership missions give you an opportunity to become personally involved in what God is doing in world missions. Pray daily for the work in Honduras. Give financially. We are a faith mission and are dependent upon your financial gifts. Please pray about becoming involved in the support of our mission. "As long as the Lord provides I will give ... $25 $50 $100 $___ a month."